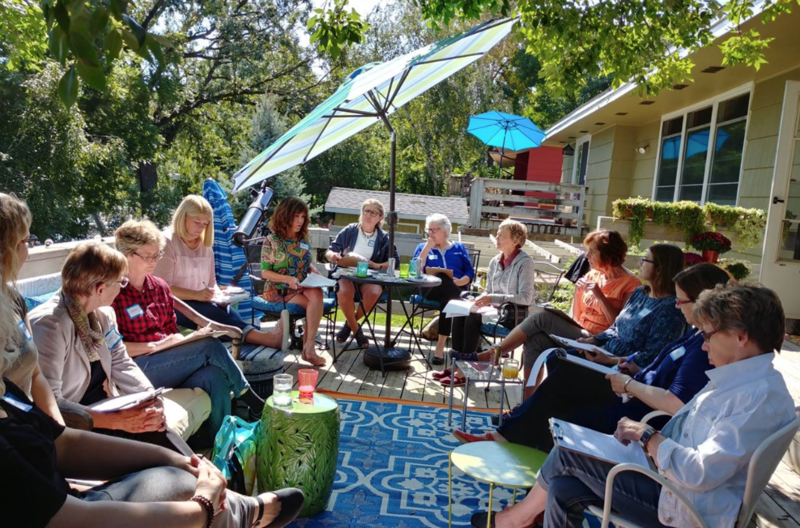 We invite you to join us in the fun of connecting with other women and discovering what TTN has to offer women in the Minneapolis and St. Paul area. We have reserved a room in the Mezz, adjacent to the wine and beer bar. If you would like a food item or non-alcoholic beverage, please purchase in the Byerlys store and bring it upstairs with you. This store has many take-out food options including Big Bowl Chinese Express, Hissho Sushi, and Tucci Pronto. Arrive when you can and stay as long as you like. If you have questions please email jenell@jacobson.org or call 612-387-1336. If you have any concerns that this event has been cancelled due to weather conditions, please check our Facebook page on April 17. Our Facebook page is located at https://www.facebook.com/MSPthetransitionnetwork.org/. Welcome, New TTN Members! Thank you for joining TTN! We hope you’ve started to connect with new friends and discover the resources to help you in your transition. To help you get the most of your membership, we welcome you to join us for an orientation webinar. 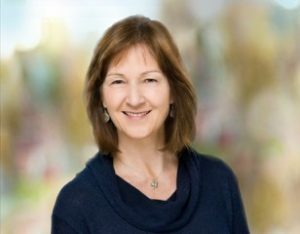 Susan Collins, TTN Executive Director will lead this “get to know TTN" webinar along with a guest presenter from one of our chapters. (The webinars are usually offered monthly, however we will take a break from them in August.) Please register above to join this webinar. Prior to the date of the event, you will receive a confirmation of your registration and instructions on how to join the webinar directly from the webinar service. "See" you then! 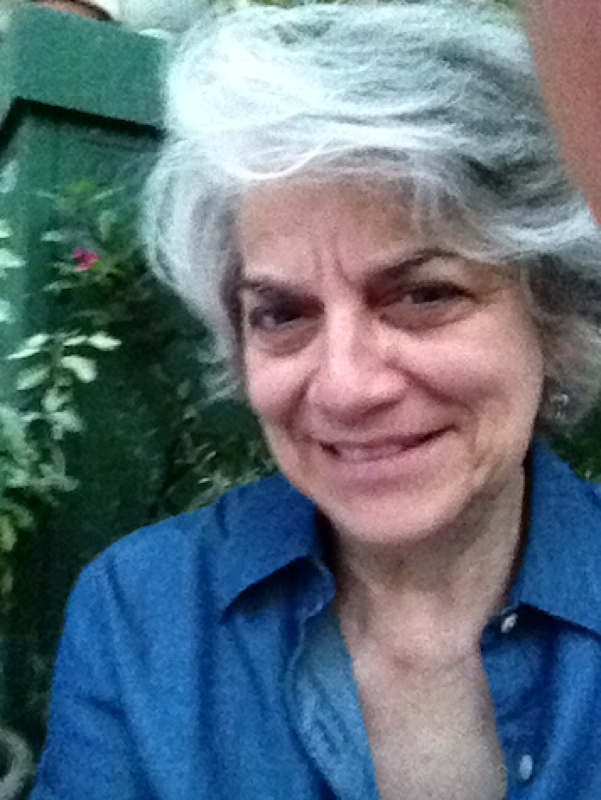 Contact Jennifer Monahan at info@thetransitionnetwork.org with questions. Cost: Early registration (by April 18) is $20 for members; $30 for guests. Register early, this event will fill quickly. Come help us celebrate women and the TTN Minneapolis/St. Paul chapter being designated as an official TTN chapter! Twin Cities author, comedian and actress Lorna Landvik as the keynote speaker. Lorna will sign copies of her books which will be for sale. Susan Collins, TTN Executive Director, to welcome Minneapolis /St. Paul as the fourteenth chapter of TTN and to join the local steering committee to provide more information about TTN and the MSP chapter. published in 1995. Her most current book is Chronicles of a Radical Hag (with Recipes). Click here to read a March 24th Star Tribune article about Lorna. She also has performed an all improvisational show, Party in the Rec Room, at Bryant Lake Bowl in Minneapolis. out Lorna Landvik's official website at: https://www.lornalandvik.com/. Recent donations include two tickets for the Guthrie, a Martha Stewart 2-quart enameled cast iron pot, Cafe Latte item, wine in a gift box, Minnesota cookie baking kit, Bachman's gift card, a tea basket, plus more. We want the silent auction to be fun, so there will be some surprises! Please note: Checks and cash are welcome, but we cannot accommodate credit cards. Those interested in donating items or experiences for the auction should contact JeNell Jacobson at jenell@jacobson.org or 612-387-1336. Iconic Jax Café in NE Minneapolis provided a classic comfortable setting for the sixteen women attending the March 19 th Mix & Mingle. Jill, our chair, described the journey of our chapter’s growth from a mere idea several years ago to reaching full chapter status June 1st! She lifted a glass to toast the achievements of all past and current leaders plus to all members who joined over the years that helped built this our organization. Clearly, it’s a story of women connecting, creating and contributing! At all Mix & Mingles participants enjoy hearing the personal introductions and this event was no exception. The energy was also high when talking about the May 18th Celebration. I recall only one woman say she wouldn’t be able to attend! The special evening was complete with delicious food, white table cloths, and the professional wait staff. We have new posts all the time. AND you can post and share things. Check it out!! Special Interest Groups (SIGs) are topic or activity-focused. There is no limit to the groups that can be created because they all originate with the members! If you have an idea for a new SIG and would like to find out if others are interested, please contact Eleni Skevas at eskevs@yahoo.com. Transition Peer Groups (TPGs) are Small groups who meet to discuss topics from career transitions to changing family relationships to the benefits and challenges of aging. Each group selects its own topics. TTN provides resources to help these groups. If you are interested in joining or starting a TPG, please contact Barbara O’Sullivan at Barbara.osullivan@hotmail.com. Just a friendly reminder: We always welcome new women to check out our SIGs along with our many social occasions and programs. Please remember that non-members are welcome to attend SIGs & TPGs for a maximum of two times after which, per national policy, it is required to become a member of TTN to continue SIG/TPG participation.. Joining is easy and economical. Just go to the TTN website - Click Here! Let's Do It! Let's get into Transition Peer Groups! TTN provides help with the establishment and running of the groups by providing written guidelines for the groups. In addition, every group has an experienced TTN partner to help them during the initial meetings or at any point where they feel they need re-direction. 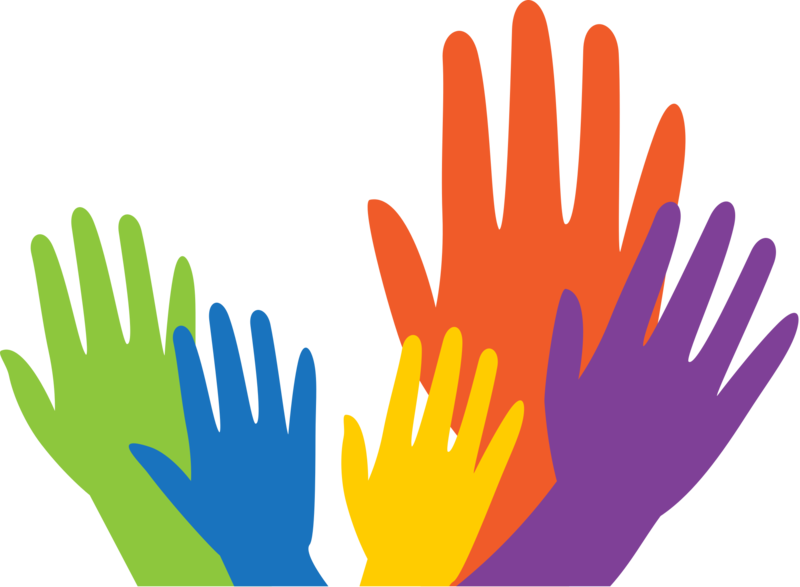 As a general matter, members share responsibility for leading the group, facilitating discussions, and coming up with ideas for conversation topics or outings. 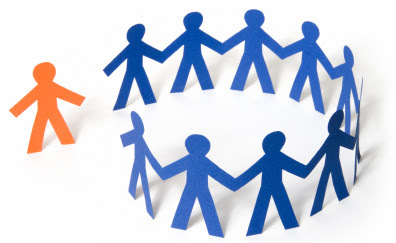 Each group establishes its own group norms and expectations for behavior. An important consideration is that every TPG is meant to be a confidential, safe setting for sharing BUT a TPG is not a personal therapy or crisis group and is not a substitute for professional help in such situations. Email: Barbara O'Sullivan at Barbara.osullivan@hotmail.com. Our Living with Purpose Peer Group March meeting focused on the discussion of friendships. We explored our questions and our insights on the importance of friendships in everyday life. Some ideas exchanged were how friendships bring energy and sometimes they can drain us. We discussed the importance of long-term friendships and how they have changed or remained constant; how we make new friends; how we end long-term friendships; and how we express gratitude for our friendships throughout our life. We all agree that TTN has created many opportunities to make new friends and to meet wonderful women to spend time with. Our April meeting is scheduled for Thursday, April 25, from 6:30-8:00 PM at the Shoreview Library in the Community Room. We will focus our discussion on the book The Four Tendencies by Gretchen Rubin. Reading the book is not required to join into the discussion. The Four Tendencies help us identify a personality profile. The four profiles are: Upholder, Obliger, Rebel, and Questioner. The author conducted her investigation and has written the book for the purpose of making our lives better as well as making life better for the people around us. The quiz is a series of 13 questions that take just a few minutes to complete. The quiz can be accessed on the following website: happiercast.com/quiz. We are looking forward to an invigorating discussion. New members are always welcome. Please contact Barbara O'Sullivan with any questions, ideas or thoughts about the group. Email: Barbara.osullivan@hotmail.com Phone/text: 651.983.7876. The Life Animated peer group cancelled their March meeting due to our challenging winter weather. April 11, Thursday, 11:45 AM-1:45 PM, Merriam Park Library. (Time changed to accommodate those attending the Music Appreciation class at St. Thomas’ Selim Center earlier in the day.) Topic: Listening, led by Julie. What or who do we listen to daily or weekly and why? What are some negative listening experiences we've had? How do we become better listeners in our private and public lives? How do specific sounds affect our well-being? And anything else on the topic of listening. (rescheduled from March) Favorite books/movies led by Jane and Terri. Bring a list of your top picks for discussion. Following the meeting, the group might attend a movie, possibly at the Riverview Theater. Please contact Eleni Skevas at eskevs@yahoo.com with any questions, ideas or thoughts about the group. Do you want to form a Special Interest Group? Special Interest Groups (SIGs) arise when TTN members find kindred spirits who share similar passions. Member-driven, a SIG can meet as often and for as long as the members desire. It can be on any topic or passion (excepting political limitations imposed by our 501c3 status). A quick glance at TTN chapters around the country indicate that members have taken advantage of the network and come up with lots of diverse, and sometimes surprising, SIGs. The Central Ohio Chapter, for example, has established SIGs around Netflix, game nights, genealogy, an authors' group, traveling and freecycling (a kind of reuse and recycling). Long Island has SIGs dedicated to day-tripping, dining out, mah jong, Scrabble, crafting, hiking, movies, and theater. These groups are member-driven, which means that anyone who wants to start a group can do just that! These groups are topic- or activity-specific and bring together members who share similar interests. Want to start a new SIG or join the ones already in place? Contact Grace Bartholet at 642-310-4604 or Eleni Skevas at 651-235-9599. 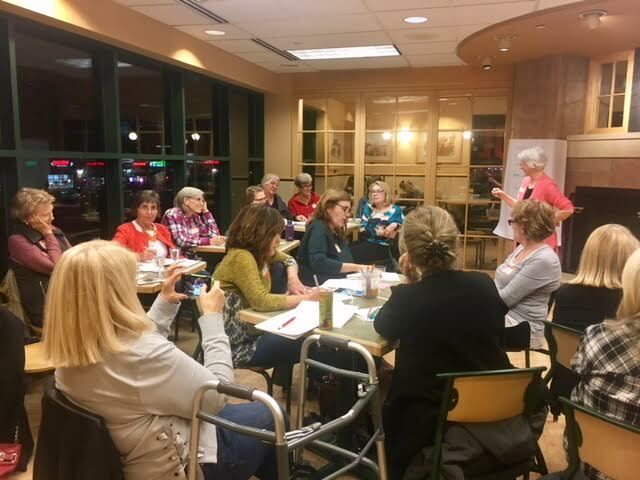 On Tuesday, March 19, six women met at the Davanni’s in Roseville and discussed income and expenses in retirement. We utilized the Wealth Enhancement article "Transform your Savings into Retirement Income" and Income and Expense projection worksheets found on Vanguard website. We discussed some of the things that make us concerned including medical insurance and treatment costs, how to make our money last if we live long lives, and inflation. Our next meeting will be on Tuesday, April 16, from 7:00-8:30 PM at the Roseville Library Board Room, 2180 Hamline Ave, Roseville. Since it is April, we will be talking about taxes and tax reform. As always, we will have open discussion. Our May meeting will be May 21 in the Board Room at the Ramsey County Library in Roseville. The purpose of this group is to increase our personal financial literacy. 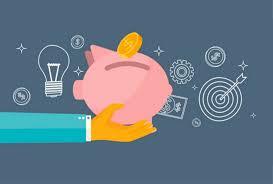 The knowledge of members about financial topics varies from beginner to more experienced. An article recently published on CNBC describes other groups of women with similar objectives: “Women Buddy Up to teach each other about finance”. Our topics will be selected based on what individual members are interested in. New members are welcome. Come and give it a try. Please email Cyndy at clnelson03@gmail.com if you are interested in joining us or have questions. The Urban Hiking SIG plans to begin meeting again in April. This SIG gives us the opportunity to explore and/or introduce others to new locations in the metro area. Our hikes last about 60-90 minutes and we walk at a moderately brisk and steady pace. All are welcome to join us as we walk and talk. We sometimes end our hikes with a stop at a local establishment for a coffee/drink/ice cream. 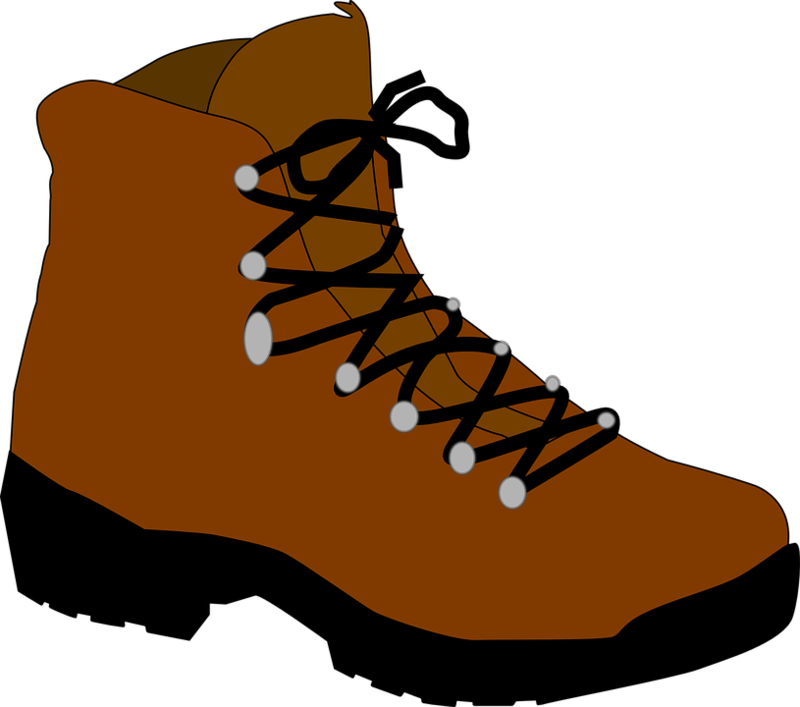 Currently, we are considering a morning hike on Tuesday, April 23. Please let Cyndy know if you want to attend and/or have ideas for location. If you are interested in participating in this group, please let Cyndy know if you prefer weekday day, weekday evening, or Saturday hikes.Please contact Cyndy at clnelson03@gmail.com if you have comments or an interest in this SIG. Are you pro-choice? Are you pro-life? Are you able to see all sides of the abortion issue? Wherever you stand, the play Roe will be sure to honor your feelings, respect your views, and be brutally honest about the pain that colors whatever decision a woman makes about an unwanted pregnancy. On March 24, the Theater SIG attended this play, about the famous (and controversial) 1973 United States Supreme Court case which legalized abortion. With a skilled and perfectly balanced ensemble and a compelling script written by playwright Lisa Loomer, Mixed Blood staged a play that unflinchingly presented the many facets of the abortion controversy in America. Quite simply, the production blew away the entire audience, including all the Theater SIG members. Millennials would say it was INTENSE. Amen to that. the limit as to how to go forward as a cohesive group, the women decided to open up the discussion to all Theater SIG members. To that end, Robin Getman is offering her home in Minneapolis for a potluck dinner where Theater SIG members can brainstorm about this. The potluck will be on Sunday, April 28, from 4:30 to 6:30 pm. Robin will graciously provide beverages and a comfortable place for members to meet. SIG members should bring their ideas and a dish to pass. This will be fun and afford a chance to get to know each other better. Come! SIG members should look for a communication about this potluck soon. We always welcome new women to join this SIG. 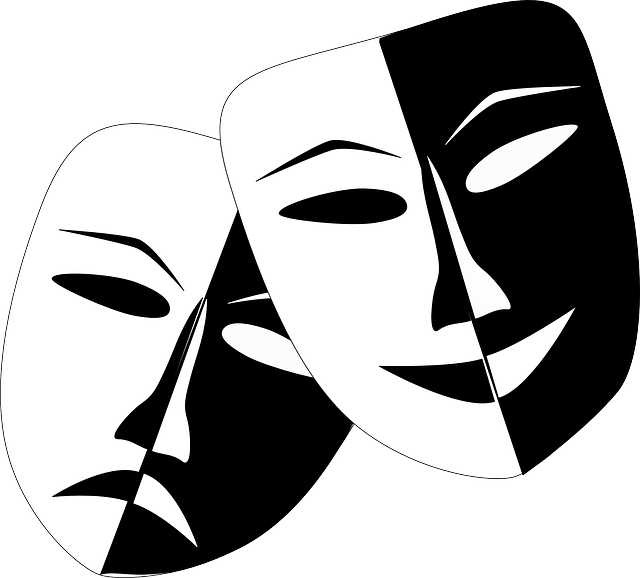 If you are a TTN member and wish to join the Theater SIG and attend this fun party, please contact Eleni Skevas at eskevs@yahoo.com. The Book Group met on April 9 with eight members. We first discussed group tasks and structure, we determined the books to be read for the next few months, and we set a hosting schedule. This month our theme was Lorna Landvik (Minnesota author) books in preparation for the TTN spring event featuring Lorna Lanvik. Each book group member talked about the Lorna Landvik book they had chosen to read. We had a lively and interesting discussion as each person shared their reactions and thoughts about their chosen book. We discussed: Patty Jane’s House of Curl, Once in a Blue Moon Lodge, and Chronicles of a Radical Hag. Our May meeting will be on May 14 at Julie’s house. We will be reading the book Factfulness: Ten Reasons We're Wrong about the World and Why Things Are Better Than You Think by Hans Rosling. This book is a New York Times Bestseller recommended by philanthropists, Bill and Melinda Gates, to provide information about the way the world situation has improved more than most people realize. Like to read? Enjoy participating in lively discussion? Come and join us! If you are interested in discovering more about the local art scene, join the ART APPRECIATION SIG. Together we will experience many types of creative expression: paintings, pottery, sculpture, textiles. We usually meet on weekday afternoons, occasionally an evening or Saturday. Exhibits are FREE or low cost. On March 7th we visited the WARM Women’s Art Resources of MN featuring the curated show: Hysteria. WARM empowers and supports all feminist artists by honoring the legacy of the past and building a visible future. This show was curated by Beth Bergman, one of original members of WARM and founder of Wet Paint Store in St. Paul, and was on display at the Paul Larson Gallery in the Student Center of the U of M St. Paul campus. We also went to the Goldstein Museum of Design which had an exhibit showcasing an interesting variety of clay pots and objects by Minnesota artists including world-famous Warren McKenzie. The show was a ceramics collection of Ruth Crane. The Writing SIG members continue to enjoy reading aloud our recent work and giving positive feedback to each other. We also spend time during the meeting writing something new from shared prompts and then reading them. We laugh a lot and inspire each other. Five members is an ideal size for this group to give everyone a chance to participate and to fit around our gracious host’s table. In April, the group will be meeting on April 12 and 26. Want to volunteer? Please contact Grace Bartholet at gbartholet@gmail.com or 612-310- 4604 by May 10th. The exact format of the SIG hasn’t been determined. We could choose a standing date (say the second Saturday of the month) at the Riverside Theater, for instance, where tickets are just $3.00 each, and just commit to gathering for the matinee whatever it is and then go across the street for coffee and a snack. Or we could individually join the Minneapolis Film Society and as a group attend one of their offerings once a month. Or we could just provide the distribution list of Movie SIG members to SIG members and shoot out an email when one of us is looking for a companion with whom to go see a movie. Or all of the above. And, how about this: a Oscar Party! Let Eleni Skevas know if you’re interested and we can arrange an organizational meeting to come up with a format and a plan for leadership. Could be fun! Contact: Eleni Skevas at eskevs@yahoo.com or Grace Bartholet at gbartholet@gmail.com, SIG Co-Chairs. There are many ideas being floated as to how else to focus a SIG. More ideas are welcome. Another idea is to create a SIG around exploring other ethnic cultures in the Twin Cities: visiting stores and markets, sampling food at restaurants, learning to cook ethnic dishes. If you have an idea and a yen to organize and lead a SIG around these topics or a specific passion of yours, please step up! One important principle is that YOU DON’T HAVE TO DO IT ALONE. You can partner with someone and you can rotate responsibilities with other committed women. Contact Eleni Skevas at 651-235-9599 or eskevs@yahoo.com if you're interested. MEMBER IDEA!!! Check it out! 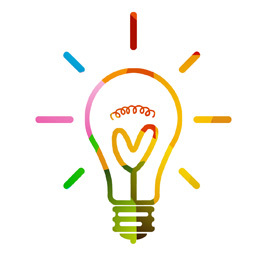 Members submit your ideas on potential local activities to Jill Goski (jill.goski@gmail.com) or Cyndy Nelson (clnelson03@gmail.com). The Transition Network is growing in the Twin Cities! The Minneapolis/St. Paul Founders Group is looking to connect with others to make the most out of the "50 years and forward" transition journey. While our situations may be varied, we can all learn and find support from other women who are also experiencing change. We have been reaching out to as many women as possible to make connections and planning as many events as we can. We already have active Special Interest Groups and are now in the process of creating more Transition Peer Groups. We plan to build a strong leadership team so we can reach out to more and more women in our community. Please join us! To join TTN click here. Don't miss out on this exciting opportunity. For more information about the Minneapolis/St. Paul Group, please contact Steering Committee Chair Jill Goski at jgoski@comcast.net. My name is Cyndy Nelson and I live in New Brighton. I took early retirement following my layoff from Target in July, 2016. As I enter this new phase of my life, I want to look for ways to use my abilities and interests to make a positive impact on others, make new friends, and have new experiences. I learned about TTN and joined in 2016. As I have participated in the Money SIG, the book discussion group, and numerous events, I have discovered that there are many women with similar goals to mine. I have joined the TTN Steering Committee so I can apply the skills I gained during my career as an IT Project Manager to help TTN grow in the Twin Cities. My hobbies are reading, walking, and traveling. I originally joined TTN off of their website. I was interested in an organization that advocates for women that are 50 forward. What appealed to me was the whole idea of staying relevant in the workplace as we age. I currently work for the Minneapolis VA. In addition, I found that as I have changed jobs and gone through various changes in my life that I am lacking connections. TTN allows me to meet interesting, engaged women from all walks of life and connect with them. In my spare time, I enjoy traveling, reading and antiquing. I retired three years ago. I worked as a prosecutor for many years and was in the private practice of law for many years before that. I have three adult children and 5, soon to be 6, grandchildren. It's fulfilling to be a parent and a grandparent, but I believe that many people, like me, need something more to be happy. So, I've been on a quest to reinvent myself. Part of that reinvention has involved down-sizing from a big house to a smaller home, amenable to aging in place. Part of that reinvention has been exploring new areas of learning, like finally learning how to cook properly and creatively, taking up yoga, reading up on history, and learning about economics. Part of it has included the joy of landscaping our new home and seeing a beautiful thing form before my eyes. I look for appealing ways to be involved in my community, where whatever gifts and talents I have are useful to others. Of course, the task of nurturing old friendships and developing new ones is high on my agenda. Where does TTN fit in? To me, TTN provides a fitting substitute for the workplace. Like the workplace, it provides many opportunities to get to know a group of people over time, as we run into each other repeatedly at TTN-sponsored programs, social events, transition peer groups and affinity groups (TTN calls them Special Interest Groups, or SIGs). TTN in Minnesota is shaping up to be a community, like a workplace, where people, in this case women, commit to being available for the long term to each other to pursue connection, friendship, support and common interests. Sounds perfect to me. Iconic Jax Café in NE Minneapolis provided a classic comfortable setting for the sixteen women attending the March 19th Mix & Mingle. Jill, our chair, described the journey of our chapter’s growth from a mere idea several years ago to reaching full chapter status June 1st! She lifted a glass to toast the achievements of all past and current leaders plus to all members who joined over the years that helped built this our organization. Clearly, it’s a story of women connecting, creating and contributing! On a Monday evening in February, eight women gathered in the private room upstairs at the Byerlys in Plymouth. We were happy to welcome three new women to TTN –Cindy found us via the Star Tribune’s article about TTN’s Caring Collaborative, Joan recently moved to Minnesota and is embracing our winter, and Sue recently retired and is working PT in a Quilt shop. We were able to share information about ourselves so we could get to know one another. There was much discussion about the crafts these women are enjoying. We had great conversation and the women enjoyed a variety of food items available at Byerlys. On Wednesday, January 2, 11 women had dinner and saw Debra Dorgan's son, Derek Hughes, perform as a magician at Acme Comedy Club. The post-holiday conversation over dinner was lively and the food was delicious. We enjoyed Derek's performance and have no idea how he did what he did. Magic! We highly recommend seeing him perform at a future date. TTN sponsored a workshop about Conscious Aging on January 14. Karen West, long-time TTN member and founding member of TTN in the Twin Cities, was the presenter. Twenty-five women attended the workshop. 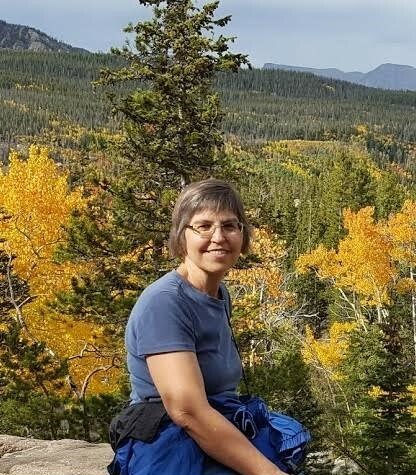 Karen, who has been immersed in the conscious aging movement for several years, and who has earned a certification as a saging leader, gave a brief history of the movement. She emphasized the contributions of several thinkers in the movement and recommended books and other resources for further exploration. Explaining that the short two-hour length of the workshop limited what she could cover, Karen nevertheless covered a lot of ground during the allotted time. Participants were invited to share how they thought about the last 30 years of life and the inevitable aging that takes place. Were they denialists, realists or enthusiasts? Were they clinging to age 49? Were they equating successful aging to what they could "still" do? Were they embracing the potential of this time of life to become who they truly are meant to be? Successful aging embraces the physical changes and values spiritual growth. Karen led the group in doing individual "life reviews". 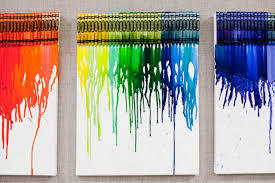 To do this, participants chose a span of 7 years in their lives (usually the span of years they were currently in) and reflected on what were the significant moments, who were the people who guided and influenced them, and what were the positive developments that occurred within that span of years. Another exercise involved meditating out loud with a silent partner on the question "As I age, how am I becoming more the person I think I am meant to be?". The silent partner asked the question of the speaking partner repeatedly, thereby inviting the speaking partner to deeply explore the answer to the question. By switching roles halfway through the exercise, each woman was afforded the gift of being heard and the gift of time to meditate. Judging by participants' comments at the end of the workshop, the workshop was success, not only in opening people's vision of aging as a positive experience, but also in showing the value of exploring this critical subject. On a snowy and below zero Saturday morning in January, 10 women gathered at The Grateful Table in Roseville for warm conversation and delicious food and drink. Our thanks to Mary, owner of The Grateful Table, for accommodating our group. The attendees shared their involvement in TTN and identified something they were looking forward to. Not surprisingly, many people have plans to head someplace warm. On Wednesday, December 12, 17 wonderful women got together for a Winter Solstice party at the Davanni’s in Richfield. We were so busy connecting that we forgot to take a picture! We had a private room and were all able to sit around a large square table. The women had a great time chatting and learned about each other by playing “Two Truths and a Lie” and “Find your Twin”. Many women have done such amazing things that it was difficult to discern which was the lie. Eleni, with contributions from the attendees, put together a great holiday centerpiece (which I obviously can’t show you since we didn’t take any pictures of that either). Women commented that they enjoyed the opportunity to connect with women in a similar life stage and liked the inclusiveness of the group. Thanks to Eleni and Grace for organizing this fun event. On November 19th we met at Byerlys Edina. We reserved a room in the Mezz and had some wine and beer along with great company. It was nice gathering of women before Thanksgiving. On the "sage-ing.org" website, you'll find the following overview of the Sage-ing International conference: "240 elders aspiring to be on a Sage-ing journey and those who serve them came together at the Sage-ing International Conference: Elder Voices Transforming the World: Our Stories in Action, October 25-28, in Chaska, Minnesota, to stand for the well-being of the future. There were seven keynote speakers, over 40 workshop presentations, daily rituals, interactive sessions, fireside chats, walks in nature, music, poetry, film and dance." It was all that and so much more! My favorite part, the keynote speakers were Barry Barkan, Richard Leider, Rachael Freed, Yeye Luisah Teish, Bill Thomas, and Matthew Fox. All of their talks were good, but my favorite was Dr. Bill Thomas. I really recommend that you watch his TEDx talk "Elderhood rising-the dawn of a new age." It is really good, and it will be a good introduction to the TTN program I'm going to present on January 14 (which I hope all of you will come to). The "conscious aging" and "sage-ing" movement is helping elders realize what an exciting and empowering time elderhood can be if-as Bill Thomas says in his TEDx talk-"they are willing to leave "adulthood" behind and enter into "elderhood," or as I and so many other people say, if you are lucky enough to have discovered that there is a "second half" to life that we can choose to enter. Richard Rohr, in his book "Falling Upward: A Spirituality for the Two Halves of Life," says that the second half of life (should we choose to move into it) is very different from the first half. And he says this "further journey" is a "well-kept secret, for some reason." The people of Sage-ing International are in on that secret, and they want to share it with you. Everyone at the Sage-ing International conference learned a lot about being empowered as we age, but the best part of the conference was getting to know the people. 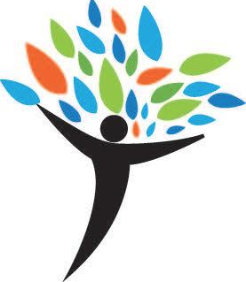 I feel like I have been blessed, because I discovered this community and what it has to offer, and I really hope I get the opportunity to share this amazing resource with all the amazing women at The Transition Network. Workshop on Women in Transition (WIT): An Unqualified Success! Our Chapter-in-Formation hosted one of the signature programs of The Transition Network, namely Women in Transition or WIT, on October 6. The workshop was sold out. Every available seat was filled. 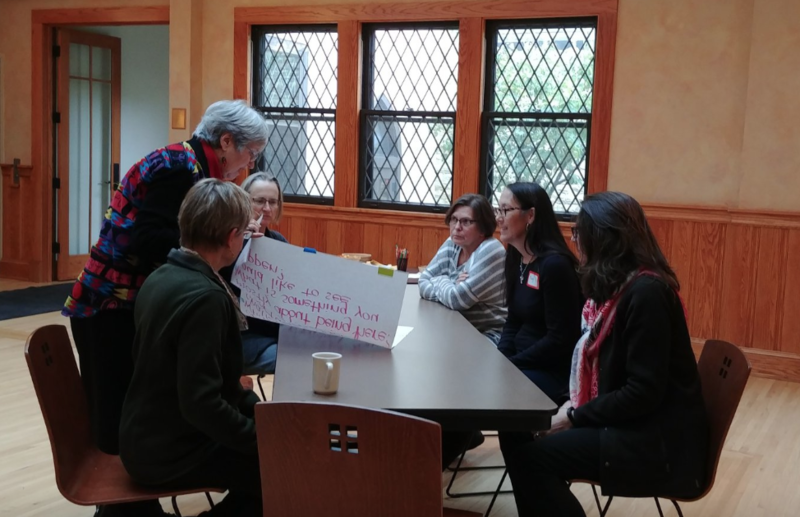 In all, 31 women gathered at St. Clement’s Episcopal Church in St. Paul to learn how to think about and manage their personal transitions through the use of methods with a proven track record of success. 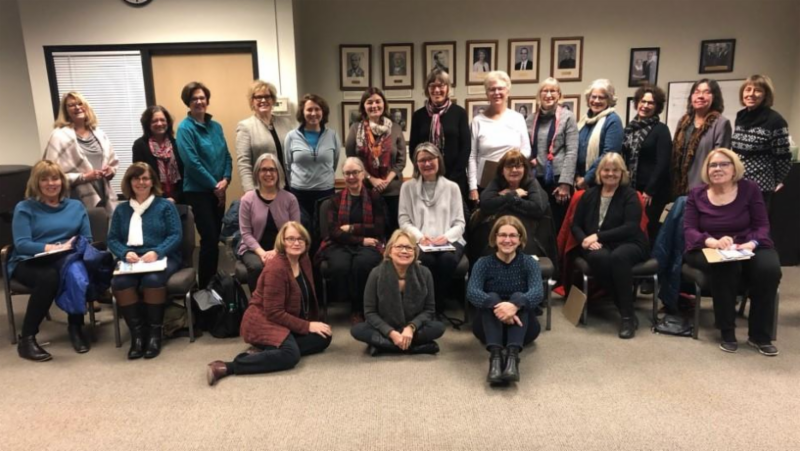 The workshop was ably facilitated by Jean Palmer, a member of Santa Fe’s TTN Chapter, and by Debra Dorgan and Terri Evans, both members of the Minneapolis-St. Paul Chapter-in-Formation. About half of the women in attendance were new to TTN, having learned about the workshop via various outlets, including Meet Up, a social media platform. They came from as far away as Duluth and Rochester. The post-workshop evaluations submitted by the attendees were overwhelmingly positive. challenging included the “empty nest”, retirement from work, unwanted unemployment, entering new work, caring for aging parents, health issues, becoming widowed or divorced, the birth of grandchildren, downsizing, and major geographic moves. The workshop included time for small groups to discuss and share problems and suggested solutions about their particular transition challenges. Each individual was invited to commit to an action plan addressing their area of concern and to be accountable to a workshop partner to report on progress made in the plan. The workshop materials included an extensive list of books and other resources related to the positive approach to aging and changing. Many of the participants are interested in continuing the conversation around transitions. As a result, the Steering Committee is launching an effort to encourage them to form their own Transition Peer Groups (TPG). Later in this newsletter you can find an article describing these efforts and inviting all TTN members to explore this possibility together. On September 8th Transition Network - MSP members shared a "Top Ten Weather Day" at the beautiful lakeside home of Debra Dorgan! The day was filled with great conversation, delicious food, and a presentation by Kerri and Kristin Vickers on individual wellness ("What's Missing from Your Wellness Plan? YOU!”). On August 23, 7 women enjoyed a potluck picnic at Minnehaha Falls Park. Three of us walked along the creek after the picnic. Beautiful summer evening. 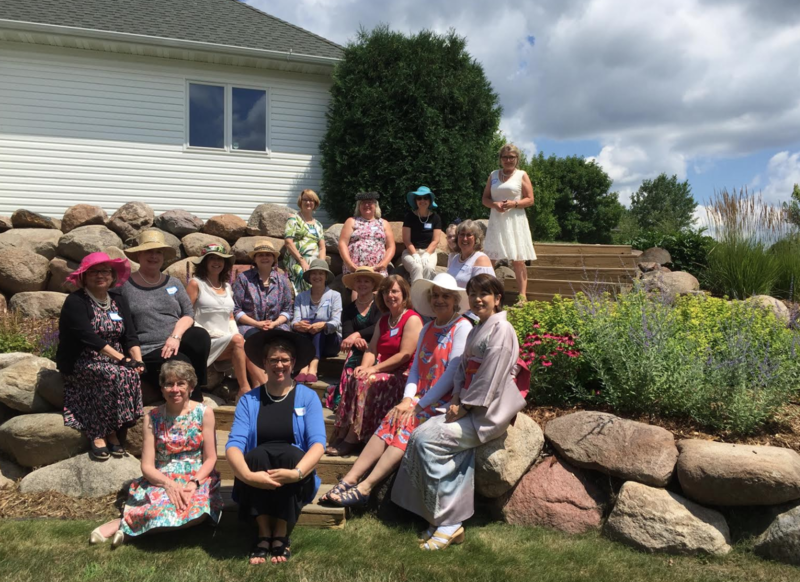 On Saturday, July 21, nineteen women from the Twin Cities area, gathered for TTN’s “Tea and Happy Things” at the home of Terri Evans. Hostesses Terri Evans, Jane Carlson, and Bobbi Weber welcomed guests with tea and mingling. Guests donned hats, gloves, and “pearls” for the occasion. The afternoon included games and prizes, a scrumptious brunch, a presentation on the Japanese Tea Ceremony by author Melanie-Heuiser-Hill (The Giant Pumpkin Suite) and Satomi Niki, croquet, and poetry readings by members. A lovely summer afternoon was had by all! 9 women enjoyed a delicious mix of homemade and purchased food at the beautiful Minnehaha Park. Although we were under the pavilion, we were happy that it didn’t rain and some of us walked to the falls after the event. We were happy to welcome a new attendee, Connie, along with some newer members, and some women we haven’t seen much recently. We had relaxed conversation as we got to know each other better. On May 10th a group of 10 ladies met at the Lake Monster Brewery. We had am evening of fun conversations and enjoyable drinks at this friendly taproom. On April 25, 10 women enjoyed a thought-provoking and enjoyable presentation by Karen Carr, a certified professional life coach and MSP TTN member. Our time focused on values, listening, and making it REAL. Karen provided us a practical way to make sure we are spending our time and energy on what is really important to each of us. We first spent a little time thinking about what we really value. Then we talked about connecting these values to your life by making it REAL: Realistic, Exciting/Engaging, Action, and Love/Luxury/Loyalty (you pick). Karen provided personal stories to illustrate the concepts and then the participants paired up to share our own information. It was a great way to think about our own situations and connect with another woman to learn about her life. Throughout the evening, we practiced listening. Karen challenged us to really listen to what the other person was really saying. We even had to listen to the other person for one minute without commenting – that was really hard and provided lots of insights about how little we actually listen to what another person is saying. It was a great evening and we want to thank Karen for sharing her expertise with us in her warm and caring way. 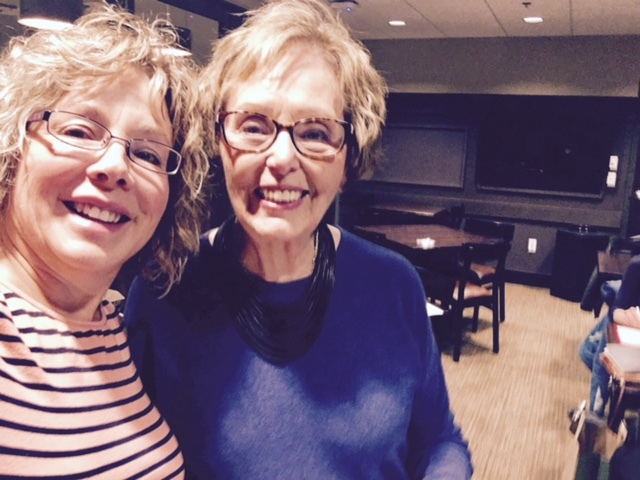 On January 30, 21 women attended a thought-provoking presentation by Mary Farr about grief. Although we normally use the term grief only as related to death, it is actually an appropriate term for many losses in our lives. 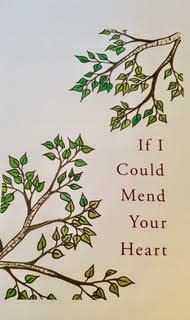 Mary observed that women often lack self-compassion, but should treat themselves during grief like they would a friend. She also spoke about hope and being on a journey toward wholeness. There are many actions that can contribute to our own healing or the healing of others with one of the most important that we listen to others and really hear what they are saying. Mary brought a wealth of ideas from her extensive career in the worlds of hope, healing, and humor. On October 24, 22 women gathered for a workshop titled “What’s Your Stuff Number” where stuff is defined as any tangible object that takes up space in my space. The leader, Jane Scheidnes, encouraged the attendees to think about how to get control of their stuff instead of belonging to their stuff. It is often overwhelming to think about our stuff in total, so she encouraged us to deal with it a single category or item at a time. It was a great starter session to help the attendees begin to take ownership of their stuff and their space. A follow up workshop is being offered on December 14. Make sure to sign up if you are interested in pursuing this topic further! 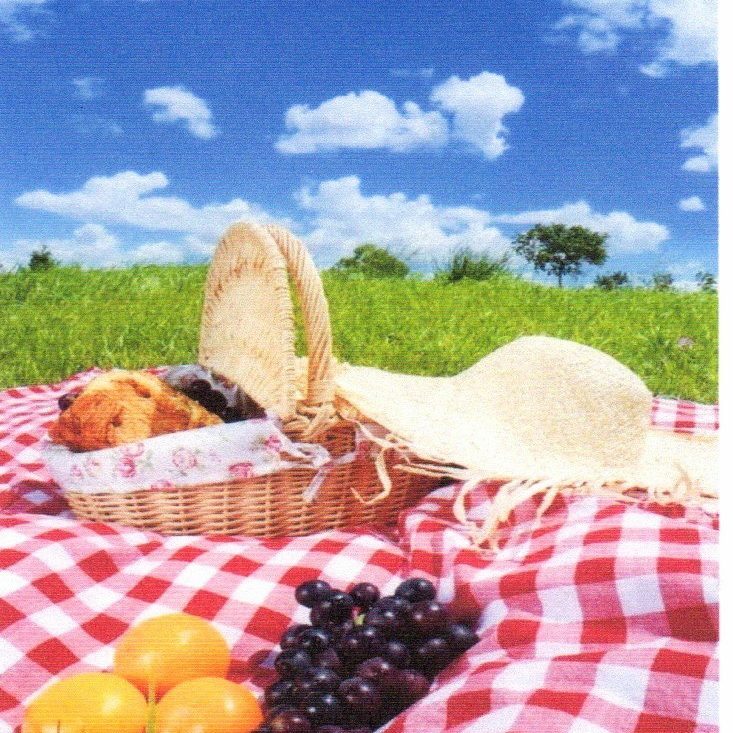 A Picnic Gathering to Celebrate the 2017-2018 TTN Kick-Off! “On Wednesday, August 9, 13 hearty women ventured out on a cool and rainy evening for a potluck picnic at Minnehaha Park. We had the event under a pavilion (thanks to Gwen who staked it out early) so nobody got wet, but some women had to find warmer clothes and blankets in the back of their cars. Despite the non-August like weather, we had good food and great conversation. We were happy to welcome three women who had never attended a TTN event. The delicious foods brought by the attendees included both purchased and homemade foods. 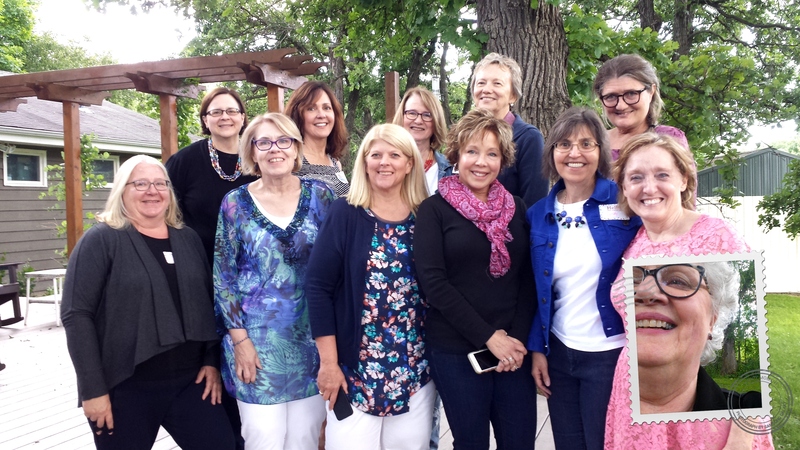 12 women gathered at Kim Fischer's home to enjoy delicious potluck food and TTN friends. The weather did not permit an outside gathering, although we managed to grab a photo in-between the rain drops. During our meal we shared with 2 newcomers about how we came to TTN, what we have gotten out of our memberships, and a little bit about each of our lives. The group also shared their excitement over our newly formed Steering Committee (4 of us were in attendance). A great big "thank you" to everyone who made it out to the country and contributed to this delightful experience. And a big "Congrats" to Jill who couldn't make it as she became a grandma once again to granddaughter Lucy Rae, born that very afternoon. Another social activity is in the making before summer's end. On Wednesday, May 3rd we enjoyed a wonderful ge together at Karen Carr's house in South Minneapolis. Along with the wonderful food, we learned more about TTN and what it would mean to become a full chapter. Susan Collins, the National Executive Director, was on hand to talk about all the benefits of membership in this wonderful organization. 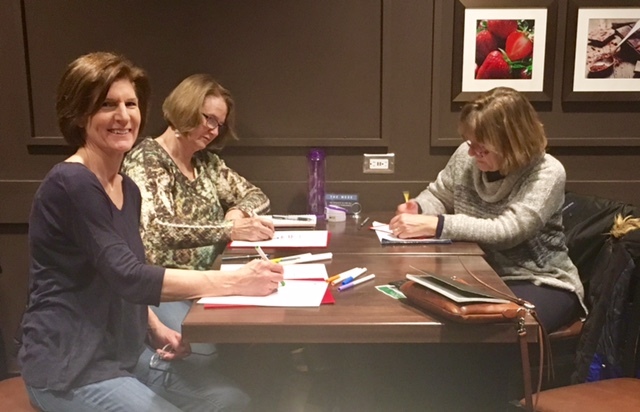 On Wednesday, March 22 at 6:30, twelve of us interested in creating the future of our chapter met at Axel's in Roseville. The meeting generated not only great ideas and future plans, but also renewed energy going forward. We hope you will join us for these two May events! Jill Goski , Lisa Nabbefeld & Kim Fischer organized the event, and they were joined by those interested in supporting TTN MSP, either through special interests, or for a specific length of time or for a specific purpose. A table for 10 was reserved at a seating area at the end of the bar, and we had a great time brainstorming ideas for our new chapter! 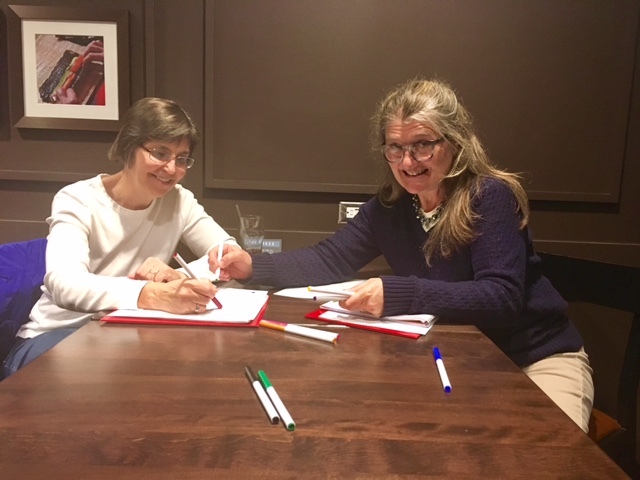 Eighteen months ago, six women joined together with organizer, Judy Harvey, to form a SIG about personal finance, investing and money management. With varying levels of investing knowledge and experience, the women decided to utilize the Investing/Money SIG for financial learning by researching topics to educate themselves and other members of the group. During its existence, the group discussed many topics including a variety of investing topics (technical analysis, sectors, socially responsible investing, etc. ), housing options, financial management, smart spending, and essential legal documents. We also had good discussions based on the book How to Make Your Money Last by Jane Bryant Quinn. Recently, the group reflected on the valuable learning and connections they have made with other members of the group, but also recognized that they have varying interests in pursuing personal finance development at this time. Some members want to pursue other interests via newly formed SIGs or other personal endeavors and others want to take a break over the summer. We decided to end the current Money SIG. Special thanks to Judy for her role in making this group successful. In the fall, we will find out if there is any interest in starting a new Money or Investing SIG. For additional information, contact Jill Goski (jill.goski@comcast.net) or Cyndy Nelson (clnelson03@gmail.com). 6 women attended our first quarterly event for 2017 to get a taste of Guided AutoBiography, led by our very own, Diane Nimmer. There were exercises led by Diane, paired sharing and whole group sharing. Through that sharing, we learned about ourselves and each other. Diane will be offering 4 followup sessions going into greater detail with more exercises in May. Details coming soon. Future plans for our Chapter in Formation include an invitation to a focus group meeting involving a potluck opportunity and a chance to get more involved, coming this spring. This year's quaterly event was in collaboration with AARP with a local celebrity, Richard Leider, who talked about "Purpose". In-between our quarterly events we are going to hold workshops on his program "Life Reimagined". Our Wednesday, January 20 Event, “What kind of Legacy Will You Leave Your Loved Ones?” (and other similar titles…. ;), was our first quarterly event and was a success for the women who were there. They enjoyed a “Cardio Drumming” class from our very own Lori Gerval, enjoyed a protein shake and heard the 3 speaker panel presentation. There will be a follow-up workshop/event that everyone was interested in – Death by Dinner. More details to come in March…… And “Thank You” Lori, for hosting!! For our June main event, we took things outside to a beautiful part of the city that most of us had not been before. Nine TTN women and 2 guests joined up at the Eloise Butler Wildflower Garden in the heart of the Minneapolis metro in Theodore Wirth Park. It's a little oasis with paths amongst beautiful oaks, perennials and even blooming Lady Slippers! We had so much fun that we have created a Special Interest Group (SIG) for walking the metro and would like to invite other TTN women to join us! Brenda Braget generously opened her home on Summit Avenue to host our May 18th TTN event. This wonderful setting provided the perfect opportunity for women to connect during the social hour over a glass of wine and light refreshments. The good conversation flowed into the program about Feng Shui, a fusion of an art and science. Sheree Vincent, Allied ASID, the principal of Fusion Designed LLC. (www.fusiondesigned.com), shared her expertise. She shared that now, more than ever, we desire our homes to be our personal sanctuary and how this ancient system of Feng Shui is used for creating a living and working environment that balances and harmonizes with nature. She provided compelling and practical examples of how understanding and applying Feng Shui – you can create an environment that supports your physical, emotional and spiritual well being - your own personal sanctuary! Robin Getman entertained, informed, and inspired 35 participants by injecting humor to reinforce a powerful message about methods to improve and build upon health and well-being. Through this fun and fast moving program, Robin expanded participant’s understanding of 3.5 degrees of learned optimism and four “curing” techniques that can be used to heal the worst, or preserve the best of each of the degrees, and guided them through tools and techniques for increasing overall happiness. Six women met at Carmelo’s for dinner before the program. Kathie Kosharek, a Gallup-certified Strengths Coach, guided participants through a highly interactive program to identify, with assistance from the Clifton StrengthsFinder assessment, what makes them unique and what motivates them. 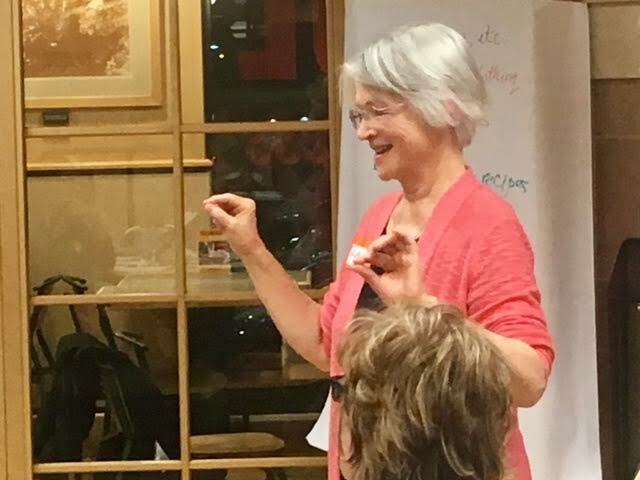 Kathie’s skillful facilitation provided the foundation for participant discovery of how to apply their strengths and reenergize their day-to-day life. Participants left with the framework for creating a plan to explore how to leverage their strengths in the second half of life. Ten women gathered at Luci Ancora for the open dinner before the program.